Watch L-Mount Photokina 2018 Live Stream Event Now ! ﻿﻿ You can watch live event of Leica L-mount right now. You can find more at L-mount.com. The Leica S3 medium-format camera has now officially been announced with 64 megapixels, 3fps continuous shooting, optical viewfinder, and 4K DCI Cinema resolution video. The Leica S3 will launch in Spring 2019, with an early prototype on show at Photokina. 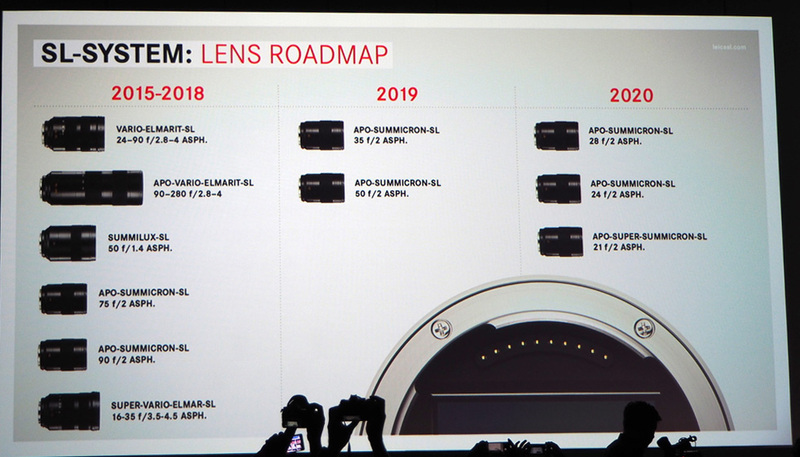 Five new SL lenses will be launched in 2019 and 2020 – the 35mm f/2, 50mm f/2, 28mm f/2, 24mm f/2 and 21mm f/2. The L-mount alliance between Leica, Panasonic and Sigma is now official ! All three have decided to implement the L-mount standard rather than develop their own proprietary system. Sigma were planning to develop their own 35mm full-frame mirrorless lens mount, but decided to join forces with Leica and Sigma. Watch Panasonic Full Frame Mirrorless Cameras & L-Mount Live Event Here ! Previous Previous post: L-Mount.com Now Accessible ! Next Next post: Watch Panasonic Full Frame Mirrorless Cameras & L-Mount Live Event Here !